When it comes to freshness and flavor, we believe that the details make the difference, which is why our artisan coffee drinks are complemented by farm fresh milk and our syrup sauces and salad dressings are made in-house daily. The proof is in the taste. 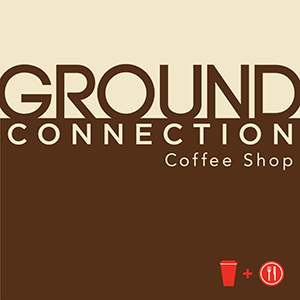 The Ground Connection menu varies at each location, offering unique and tempting choices every day. Each of these drinks start with a double shot of The Waverly and is combined with Farm Fresh Milk, which is hand-steamed to a rich and creamy microfoam texture. Our Baristas are trained to steam each drink to its own ideal temperature. Our drinks are finished with latte art ranging from a beautiful heart to a complex rosetta. Our guests choose their favorite drink based on the taste profile they enjoy best which ranges from bold for our Macchiato, to velvety sweet and smooth for our Latte. We offer several homemade syrups that can be added to our Espresso Drinks including Belgian Chocolate and Dulce de Leche. We also feature specialty cold brew beverages on tap. We offer 18-Hour Cold Brew Coffees and Lattes, Fresh Homemade Lemonades, and Specialty Iced Teas.